What will Dean Smith bring to Aston Villa? 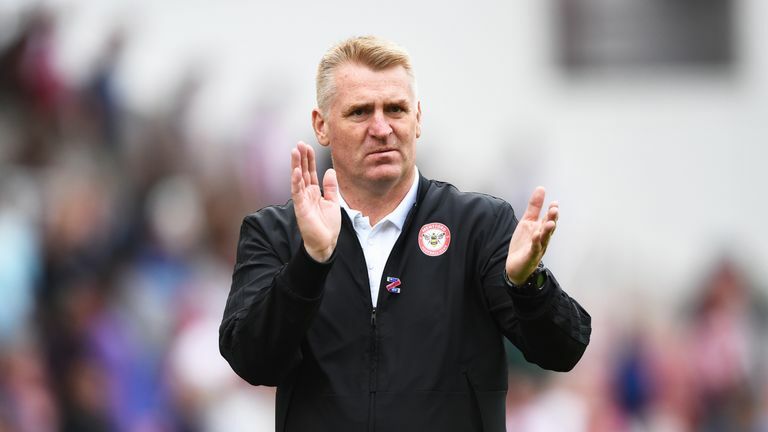 We take a look at Dean Smith's record at Brentford and assess whether his philosophy can be transitioned to Aston Villa. Remi Garde played for Arsenal and France, Roberto Di Matteo won the Champions League with Chelsea and Steve Bruce had managed almost 400 games in the Premier League, as well as winning promotion four times. Aston Villa's last three managers certainly arrived at Villa Park with a different pedigree to the latest incumbent in the dugout. After all, Dean Smith has less than a 40 per cent win rate with his two previous clubs and has never finished a season in the top eight of any league. Bruce appeared to be the man with the track record to lead Villa back into the Premier League, but even as they made their way to the play-off final last season there were complaints about the way the team were playing. At times it seemed that they were being dragged to Wembley by a group of talented individuals in spite of their gameplan, rather than because of it. The former Walsall manager is a boyhood Villa fan and bringing in John Terry as his assistant will be a fascinating aside, but above those two factors the key to his appointment is his philosophy and improving the style of play. In management terms Smith is the polar opposite to Bruce, and Brentford's recent performances against Villa would have caught the eye. In the five games against Villa since their relegation, Brentford have won two and drawn three, and were only denied victory in August by a last-minute equaliser from Jonathan Kodjia. 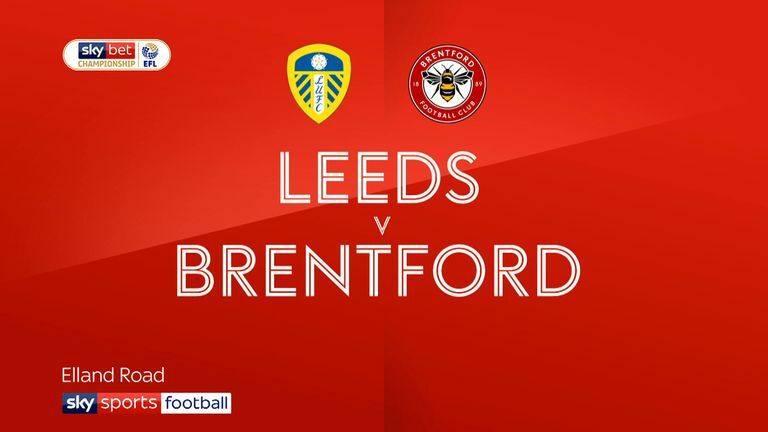 Highlights of the Sky Bet Championship match between Leeds and Brentford. A lack of promotion pedigree does remain a concern. Brentford have finished ninth, 10th and ninth since Smith took charge, which is lower than the fifth place they managed in the season before he arrived at Griffin Park. The Bees are punching above their financial weight in the Championship, but breaking into the top six in the second tier is not as insurmountable as doing it in the Premier League. That is not an attempt to diminish the job that Smith has done in west London. Brentford are a selling club and have grown used to losing their key performers in almost every transfer window. At the start of last season they lost Harlee Dean, Jota and Maxime Colin to Birmingham right at the end of August and by the time they had discovered their form in October they had left themselves with too much to do to reach the play-offs. Dean Smith’s success at forward-thinking Brentford bodes well for Aston Villa, says Danny Higginbotham. This season they lost Ryan Woods from the heart of midfield, but his absence has not been as keenly felt due to the way Smith rejigged his system and his midfield to include Lewis MacLeod and Josh McEachran. Somewhere within the philosophy, there is also an admirable level of adaptability. It is worth noting that Smith worked within the most impressively-organised ownership, management and recruitment structure in the Championship at Brentford, something that cannot be said of the club he has joined. The work owner Matthew Benham has done at Griffin Park has been designed to succeed regardless of the man in the dugout and the individuals on the pitch. The stats do show, however, that Smith is more than capable of improving the style of play at Villa Park. Since the start of last season Brentford have attempted and completed over 2,000 more passes than Villa. There have been significantly more short passes attempted by Brentford and their average possession is more than five per cent higher. The Bees have also attempted 220 more shots, had 51 more shots on target and attempted far fewer crosses. These are all points that indicate a better, more exciting brand of football. Danny Higginbotham is also a fan of Smith. "[His style is] possession with a purpose and turning defence into attack quickly," he told Sky Sports News. "He is the right man for the job, no doubt about it whatsoever. Sometimes we get attracted to names, but he is brilliant and I think he can take Villa and pick them up. He is an Aston Villa supporter as well which helps, you only have to look at what Chris Wilder has done at Sheffield United to see that. "It is a really exciting appointment and it will be interesting to see what players get brought into the football club and what happens to the players there now and how they get transformed." Given time Smith will improve the performances on the pitch, but this is the modern game and results must come quickly as well. It remains to be seen whether he can balance both and bring some joy back to Villa Park.